Thread only $7.59 when you purchase 12 or more of the same color. Final Discount will be reflected in the checkout process. 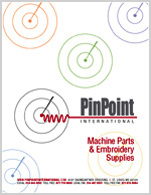 For precise color match, threads should always be compared to the manufacturer's physical color card.